State Forester Decker, Chair Imeson and members of the Board, thank you for considering my input today. My name is Mary Scurlock and I am here on behalf of the 22 organizations of the Oregon Stream Protection Coalition. We strongly urge you to accept Department staff’s recommendation to accept the June 23, 2014 workshop summary and direct the Department to present the Board with a rule alternative or alternatives (though not specific rule language) in November that meets the Protecting Coldwater Criterion of Oregon’s stream temperature standard. The rule alternatives would be presented with further recommendations about the geographic regions and stream segments to which they would apply and with preliminary economic analysis related to buffer prescriptions. You would also be presented in November with an evaluation of how the proposed prescriptions would bear on large wood recruitment and voluntary measures for large wood. The Board should not formally include large wood recruitment as a rule objective. As much as my community wishes that this rulemaking could have been more holistic and designed to address the serious deficiencies of large wood in Oregon’s streams as well as issues related to road sediment and management impacts on mass wasting regimes, we supported the narrow scope of this rule process because of the clear performance objective the Protecting Coldwater Criterion provides. We agree with the Department that expanding the scope of this effort now would delay policy change for months or years. The Board should not revisit prior determinations in this rule process, all of which had a rational basis, were made through a transparent public process with stakeholder input and none of which are undermined by significant new information or changed circumstances. The Board should not request the Environmental Quality Commission to change the Protecting Coldwater Criterion. The existing statutory structure creates an expectation that the Board will defer to the EQC in matters related to the substance of water quality standards, particularly one for which there is such strong support at both the state and federal levels — as the June 23 workshop made clear. In our view, a formal request by the Board to the EQC for a water quality standards rule change should be reserved for extraordinary circumstances where there is no rational policy, legal or ecological basis for such a rule. Such is not the case here. The Board should not focus now on issues that are not directly related to the achievement of its primary objective, which is to develop rules to meet the Protecting Coldwater Criterion on small and medium fishbearing streams. It is simply not the right time to take up whether and how the location of temperature-impaired streams (“303(d)” streams with or without TMDLs), or the location of stream segments determined by other processes to be of high or low ecological value, or the location of reaches that may have particular sensitivities or insensitivities to management might be relevant. The Board needs to focus on determining what practices meet the standard and where the standard applies. Oregon’s salmon, steelhead and bull trout have waited long enough: there has been uncertainty around the adequacy of the forest practice rules to prevent harvest-related stream warming since the late 1990s, but rule change was deferred pending the completion of the RipStream study, approximately 2002-2010. Now almost three years of work by the Board and Department have been dedicated to this rule analysis since the “degradation finding” in January 2012 on the basis of RipStream — including an extensive science review that validates RipStream as among the best available scientific studies on the subject. There are more decisions ahead. Continuing with the rule process laid out by the Department does not tie the Board’s hands to shape the final outcome. There are still several key decisions ahead that are within the Board’s discretion, most notably including the specific rule prescriptions that will be adopted, their geographic extent, and the appropriate role of voluntary measures. Adaptive management without policy change is a broken promise. As a matter of public process, this Board’s failure to pursue meaningful policy change after an evidence-based deliberative process that began over a decade ago would be perceived by my community as an extreme institutional failure that demands recourse through whatever political, legislative, and legal means available. We would prefer to work as stakeholders within a successful adaptive management program. Oregon’s state Board of Forestry is working on balancing a healthy timber industry with healthy salmon runs. On Wednesday, the board votes on taking the next step in developing rules governing how many trees must be left standing along streams to keep the water shaded and cool enough for salmon to survive. It would be the first change to the riparian protections of the Oregon Forest Practices Act since 1994. The question was raised by a 2011 study that found temperatures were getting warmer in salmon streams on state-regulated timberlands in the Coast Range. The Department of Forestry is recommending the board go forward with analyzing the different logging prescriptions that would be needed to meet the cool water protection standards for small- and medium-sized streams with salmon, steelhead and bull trout, and their economic impact. A final decision is months away and will take into account whether the changes create too much of a hardship on the timber industry. Mary Scurlock of the Oregon Stream Protection Coalition says the study makes it clear that Oregon will have to start leaving more trees standing along streams to meet the cool water standard set by the state Environmental Quality Commissions, and some form of financial assistance for small landowners may be needed to soften the blow. She added that Washington state logging rules use the same cold water protection standards set in Oregon, and the timber industry is viable there. In testimony to the board over the past year, representatives of the timber industry have urged approaching the Environmental Quality Commission to change the cool water standards — a position opposed by the Department of Forestry — and raised questions about how long-lasting the effects are of logging on stream temperatures. Katrina McNitt, president of the Oregon Forest Industry Council, said while the study showed water temperatures rose after logging, they never exceeded the standard for protecting salmon. The RipStream study by the department and Oregon State University looked at 33 stream sites on state and private lands in the Coast Range dating to 2002. The study found an average increase of 1.26 degrees Fahrenheit after logging on private lands. There was no increase on state timberlands, where more trees are left standing along streams. The temperature increases were prompted by less shade thrown on the water by trees. Many of Oregon’s streams and rivers are too warm and exceed temperature standards required by the Clean Water Act because of land use impacts. Warm streams can stress or kill native fish and other aquatic species, help spread invasive species, and promote extinctions. The conservation of cold water is a fundamental goal of Oregon’s water quality standards that is critical to species conservation and recovery in the face of climate change. Oregon’s logging rules governing timber harvest on private lands provide significantly less stream protection than those in Washington and California. 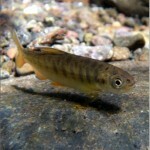 The need to increase stream protection from logging on private lands has long been acknowledged by the state’s own science team and by a host of federal agencies in connection with Endangered Species Act salmon listings, water quality standards compliance under the Clean Water Act, and coastal water pollution control under the Coastal Zone Management Act. Even so, since 1994 no changes have been made to the size of the riparian (streamside) buffer that must be protected from logging, or to the protection required within these buffers. Conservation and fishing groups are alarmed that the most significant change to Oregon’s forest practices rules in over 20 years could stall out if the Board of Forestry doesn’t vote on September 3 to stay the course on its riparian protection rulemaking. WHY IS THE BOARD CONTEMPLATING NEW RULES NOW? In January 2012, the Board of Forestry determined, on the basis of a study called “RipStream,” that current rules allow removal of too many trees in the riparian buffer area. This finding applies to small and medium salmon-bearing streams that are warmed in violation of a water quality standard called the “Protecting Coldwater Criterion” (PCW). The PCW is a Department of Environmental Quality (DEQ) standard that is intended to protect cold streams from heating up and violating DEQ’s temperature standards. The finding triggered the Board’s process to develop new rules to prevent violations of the PCW. The Board has made several public decisions in support of a rule change, and the Department of Forestry (ODF) staff scientists have developed an analytical model to identify how many trees are needed to meet the PCW standard. Early results indicate that substantially more trees must be left standing to meet the PCW. Whereas current requirements often are limited to just leaving 20 feet of trees in the riparian buffer, ODF is showing that meeting the PCW may require the equivalent of about an 85 foot no-cut buffer. As the scope of needed improvements has become more clear, the timber industry has responded by agitating for the Board to: (1) rescind its 2012 finding, and (2) question the need for the PCW standard itself – a matter well outside the Board’s authority because it is under the jurisdiction of the DEQ’s governing body, the Environmental Quality Commission . The result? A process originally projected to last one year still has not reached the point of considering rule alternatives after almost three years. WHAT HAPPENS IF THE BOARD FAILS TO ACT? Legally, because failure to revise logging practices likely will motivate litigation and legislative changes to the Board’s authority. 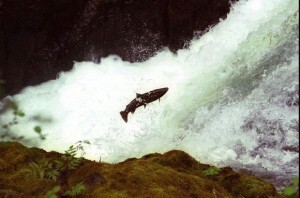 The National Marine Fisheries Service (NMFS, the agency responsible for threatened and endangered salmon and steelhead) and the Environmental Protection Agency (EPA, administrator of the Clean Water Act) have stated their intent to “disapprove” Oregon’s coastal water quality program largely due to inadequate stream protection on private lands. The two agencies want less logging and more protection of stream temperatures, as well as more protection from road- and landslide-related sediment. Failure to correct these problems will lead to the loss of over $2 million in federal funds annually to DEQ and the Department of Land Conservation and Development. Oregon’s Forest Practices Act requires that the Board’s logging rules meet water quality standards developed by DEQ. The presumed adequacy of the rules to protect water quality is why landowners can’t be prosecuted by DEQ for water quality standards violations if they comply with the rules. Inadequate rules could leave landowners vulnerable to water quality enforcement. The ability of the Board’s logging practices to prevent logging-related stream warming in violation of DEQ water quality standards has been in question since the 1990s, but the Board didn’t believe it had enough information to warrant a rule change. Between 2002 and 2010, ODF conducted the “RipStream” research study which found that, on average, logging on under current rules caused stream temperatures to increase by 0.7˚ C — even though this average included sites that left more trees than required by current rules. On sites that were harvested down to the minimum required, temperatures increased by an average of 1.9˚ C.
Washington’s rules are two to three times more protective of streams than Oregon’s rules. See for example http://www.deq.state.or.us/wq/dwp/docs/TurbidityReports/Effect of logging incident Falls City.pdf (quoting EPA senior staff David Powers comparing the two states’ logging rules). See also Olsen et al. 2007 at page 92 for a comparison of forest practices policies in the Pacific Northwest (article entitled Biodiversity management approaches for stream–riparian areas: Perspectives for Pacific Northwest headwater forests, microclimates, and amphibians), and analysis done by Pacific Rivers Council and Washington Forest Law Center available on their websites. Independent Multidisciplinary Science Team. 1999. Recovery of Wild Salmonids in Western Oregon Forests: Oregon Forest Practices Act Rules and the Measures in the Oregon Plan for Salmon and Watersheds. Technical Report 1999-1 to the Oregon Plan for Salmon and Watersheds, Governor’s Natural Resources Office, Salem, Oregon. http://www.fsl.orst.edu/imst/reports/1999-1.pdf (including recommendations to increase tree retention in riparian buffers, and to apply buffers to medium and small non-fishbearing streams). EPA and NOAA-NMFS. June 12, 2008. NOAA and EPA Preliminary Decisions on Information Submitted by Oregon to Meet Coastal Nonpoint Program Conditions of Approval (12 pp) ( “Oregon lacks adequate management measures under the Oregon Forest Practices Act (FPA) rules for protecting water quality;” “Oregon still lacks adequate measures for protecting riparian areas of medium, small and non-fish bearing streams, high risk landslide areas, and for addressing the impacts of legacy roads. A broad body of science continues to demonstrate that the FPA rules do not adequately protect water quality[. ];” “While we acknowledge Oregon’s extensive voluntary efforts, and its incremental progress on the regulatory front, NOAA and EPA do not believe the progress made is adequate. . . . . additional revisions to Oregon’s FPA rules are needed to fully protect water quality and beneficial uses.” (pp. 10-12). Groom et al. 2011, Response of Western Oregon (USA) stream temperatures to contemporary forest management, Forest Ecology and Management, 262: 1618-1629. The Forest Practices Act makes it very difficult to change the water protection rules that govern logging near streams on private land: there must be an affirmative finding of resource degradation for the Board to increase logging restrictions to protect environmental values. A finding that a water quality standard is not met by the rules is legally adequate to serve as a resource degradation finding. (6/23/14 statement of counsel at Board Riparian Rules Workshop). Board decisions to date include: 1) Current rules on small and medium fish streams don’t meet the PCW (“the degradation finding”) (January 2012); 2) acceptance of a “Scientific Evidence Review” Report that reviews and synthesizes available scientific information relevant to the riparian rulemaking and the relationship between riparian harvest/protection and stream temperature (final report approved November 2013); 3) Conceptual agreement on how “maximum extent practicable” will be defined for this rulemaking (November 2012). The Forest Practices Act requires the Board to: “establish best management practices and other rules applying to forest practices as necessary to insure that to the maximum extent practicable nonpoint source discharges of pollutants resulting from forest operations on forestlands do not impair the achievement and maintenance of water quality standards established by the Environmental Quality Commission for the waters of the state.” ORS 527.765. It is the purported sufficiency of the rules that justifies exemption of logging operations from direct enforcement by DEQ against landowners and operators for standards violations. ORS 468B.110(2). RipStream resulted in two peer-reviewed publications: Groom et al. 2011, Response of Western Oregon (USA) stream temperatures to contemporary forest management, Forest Ecology and Management, 262: 1618-1629; Groom et al. 2011, Stream Temperature Change detection for state and private lands in the Oregon Coast Range. Water Resources Research 47. An analysis of western Oregon harvest units completed over five years ago shows that stream temperatures on small and medium streams are elevated by logging allowed under Oregon’s Forest Practices Rules. This study – now published in two scientific journals — clearly shows that Oregon’s rules don’t protect the cold water that fish need according to standards set by the state’s Department of Environmental Quality (DEQ) and approved by the federal Environmental Protection Agency (EPA). The loss of cold water habitats is a key reason why salmon, steelhead and bull trout have declined and require protection under the Endangered Species Act. Yet, the Oregon Board of Forestry – whose job it is to ensure that logging rules meet water quality standards – continues to delay release of a new rule. 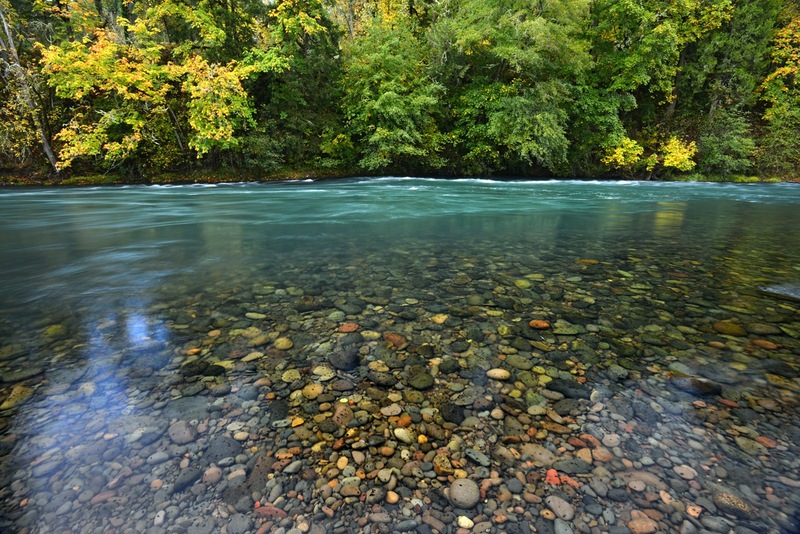 Twenty-one nonprofits formally joined together in June as the Oregon Stream Protection Coalition to demand that the state meet its obligations under the Clean Water Act with a new riparian protection rule.